Article contains spoilers for Boom, also this is not our review of Boom, that is being handled by another staff member. This is more looking into what happened during Booms development and what could have been, not reviewing the final product, that is coming later this week all being well. Well now, this is going to be an odd one first entry into this feature. For a long time there was a regular feature on TSS called ‘The Spin’ which was a more ‘bloggy’ type thing in which we’d look at stuff with a more personal tone or insight into what was happening in the news or the Sonic fandom. For the past two month’s it’s been my intention to bring it back since it feels like every week for the past two months there has been a new ‘thing’ to talk about. So, for our first episode of ‘The Spin’ what shall we talk about? 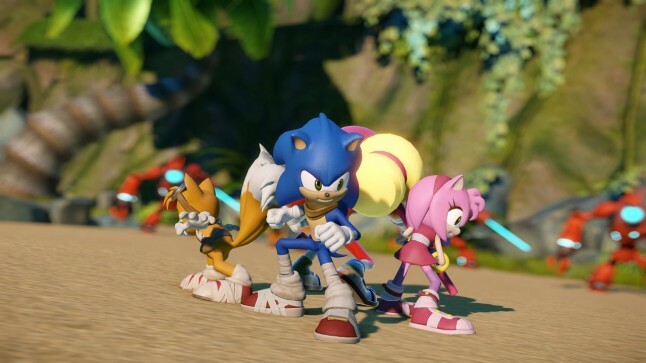 Following Sonic Boom’s release, it’s quite clear to everyone that something has gone very wrong during it’s development. 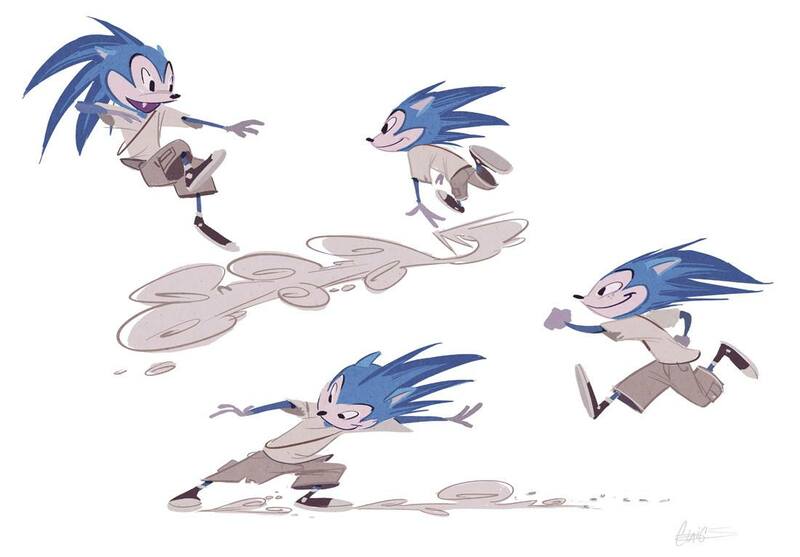 Almost on a daily basis there has been a new allegation or evidence discovered that suggests that during Sonic Boom’s development, something went horribly wrong. There’s also been a lot of accusations as to who exactly is to blame and ultimately “What the hell happened?” Well, upon my research into Boom, the amount of evidence and data uncovered is so vast that I’m going to have to spread this out over several updates. 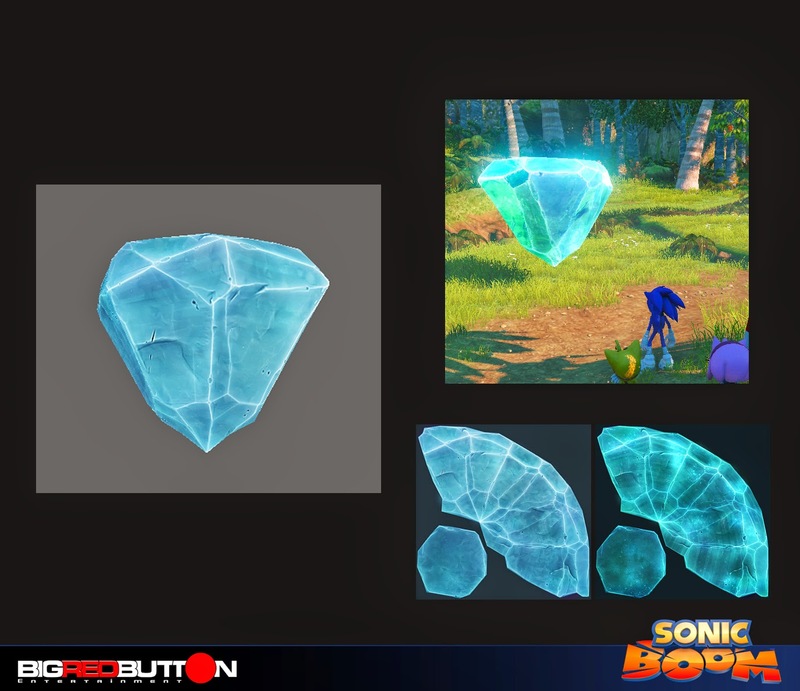 The first of which will be ‘Cut Content’, then we’ll be looking at what occurred at Big Red Button and possible theories to explain how Boom was originally conceived and the road it took to get it to it’s current place. It’s been a near daily basis that something new has been discovered which has been omitted from the game, so I may come back to this at a later point. But for now, I give you all the cut content so far found which is not in the final game and aspects which still exist in a limited form. I should also point out, some of the stuff here that I’ve concluded is based on all the evidence I have to hand, which means if new evidence comes to light which disproves it, then it’s disproved. But with Big Red Button not willing to answer questions, Stephen Frost still in hiding and nobody willing to talk about Boom from an official standpoint, these are the conclusions I’ve come to based on what I’ve found. It’s pretty obvious that a lot of content was cut from the game, some of it was announced, some was even on show in a ‘playable’ form at various points and some of it, well… frankly I’m shocked at how we found out about one particular aspect of Boom’s cut content. 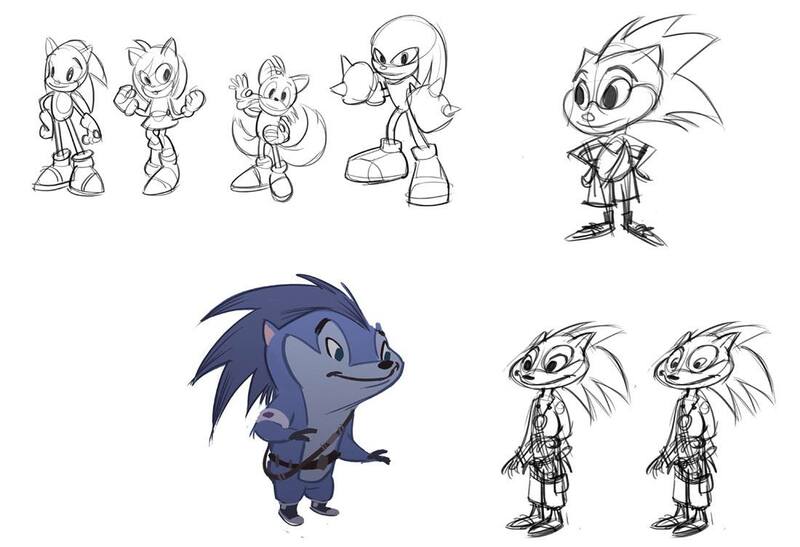 In this update we’re going to look at all the evidence we’ve gathered so far which shows some of the more crazy examples of cut content as well as some of the other aspects of cut content which deliberately impact the game, as well as indicate that during the entire year we were misled with regards to what Sonic Boom was supposed to be. Why is Sticks even in Rise of Lyric? Does anyone remember when that original image was shown and everybody went ape? Was it Marine? Was it a new character? Who was it? And why was she with the regular cast? Well we still don’t know that much, because neither game never explains much about what was promised or explained with regards to her in various blog posts and video blogs. 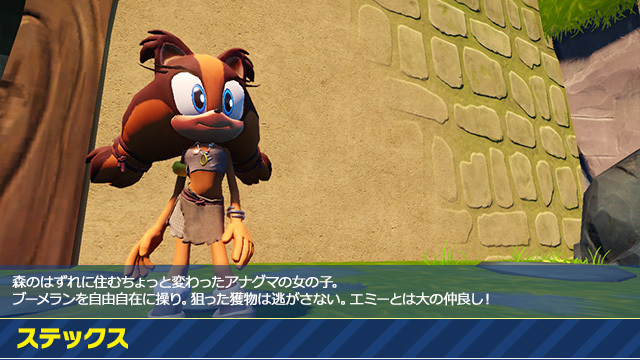 Think back to when Sticks was finally announced, it was a pretty big deal, we had a Sega Blog entry, as well as a specially made video explain who Sticks was and why she was in the world of Boom. I would now like to quote a few things which were officially released. Amy, who helps Sticks adapt to civilization. Sticks and Amy quickly become best friends, with Sticks willing to go to extremes to protect her new pal. When is this explained? Because it doesn’t happen at all in Rise of Lyric, nor does it happen in Shattered Crystal, a game which many have now decided is a spinoff since there’s no way it can relate to Rise of Lyric due to how nobody in the game knows who Lyric is. The TV show? Possibly.. but don’t forget, Rise of Lyric is the first time Sonic and co meet Sticks, the TV show is set long after it. So where does any of this happen? So what happened to this? Was it cut content? Or were we all mislead by PR announcements? For such a build up and so many times we were told how Sticks & Amy are best friends and how Amy helps sticks, neither game shows any of this. In fact in Rise of Lyric, Sticks is just an NPC, she’s in a town full of people, there’s barely any interaction with her at all, yet she certainly doesn’t come across as a character needs help adapting to civilisation? She’s standing right there in a town. So where does this anti social stuff come from? Stick’s inclusion in Rise of Lyric is so poor and minor, that there does exist the question “Should she even be in here?” As we’ll explain in a second article next week, there is some evidence to suggest that she was never supposed to be in Rise of Lyric, but added as a last minuet inclusion in order to tie in with the TV show and Shattered Crystal. How many of you remember this? Let me just say right now, if you ever thought that this was an actual in game screenshot, sorry to disappoint you, this is, lets call it what it is, this is a lie, or a fabrication if you’d rather. The popular term is a ‘bullshot,’ it’s been debated to death and it’s a fabrication, it doesn’t look that good in reality. It is a bullshot? Isn’t it? Well, yes, technically… however, the actual area did at one point exist in a playable form. How do we know this? Because we have video showing that hub world in game released by Big Red Button. Right at the start you can see it in this video. 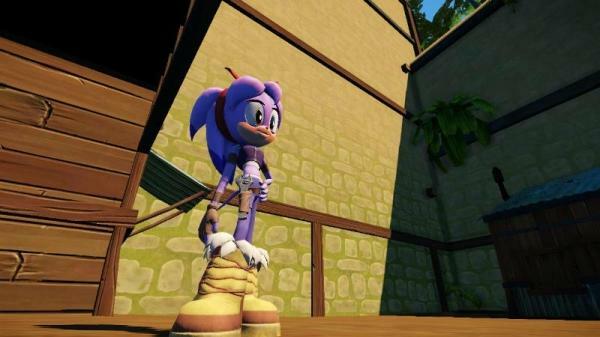 You might now be thinking ‘well this was several years old, maybe they cancelled it a long time ago?’ Actually no, because they had a playable build of it as late as February 2014, again, in a video released by Sega. Skip to 5:47 and set the speed to 0.25. This looks a lot like that hub world, the characters are moving around it, look at the detail. However, also take note it is running on a Windows 7 PC and not Wii U hardware (we’ll come back to this point later). That hub world was clearly finished and clearly planned to be in the game up until at least February… so where is it? It’s right here actually several months later in a later build of the game. Here it is being rendered on a Wii U at E3, only now it’s a background image for the title screen. Does it exist in the final game? Yes. Here it is, or what’s left of it. In case you didn’t realise, that’s taken from a youtube video so there will be some loss of quality, but my goodness, that doesn’t excuse what we see here. The detail is gone, the graphical fidelity is gone, the design of the stage is different. It’s been completely stripped down to the bare bones. Here it is again popping up alongside concept art. Looking much nicer in terms of graphical fidelity and in terms of the level of detail in the stage. 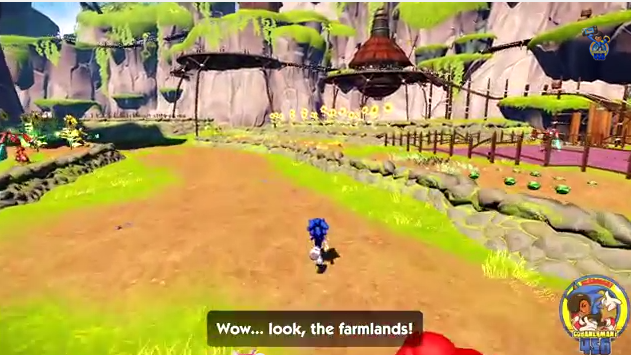 In the very first trailer for the game, we are told ‘An Ancient Land Discovered,’ we can hear Sonic and everybody say things like ‘What is this place’ & ‘this is paradise’ and we were constantly told by Stephen Frost and other Sega PR that this was a lost land which Sonic and his friends fall into. So why is there nothing like that in the game? Where is this secret ancient land? The game begins with our heroes chasing Eggman over what I assume is ‘the known world’ or the game world that we’ve seen in every game since? So when do they go into this ancient land? There’s no ‘falling into it’ like the trailer suggests, there’s nothing. What, Eggman destroys the road and that’s it? That’s ‘The Ancient Land?’ Is it when they enter the tomb? How can it be when Eggman finds those robots and re-activated them? 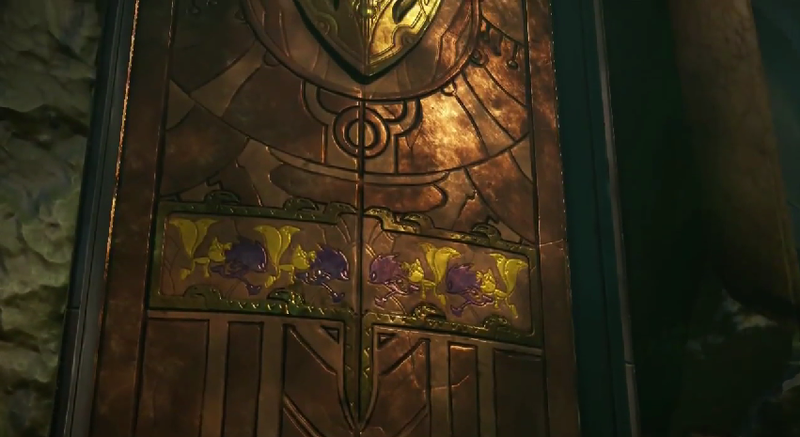 But that’s done outside of the room which Sonic and friends escape into? So how can it… You see the problem here? Which brings me onto the next point which also adds question to the ancient land claim. 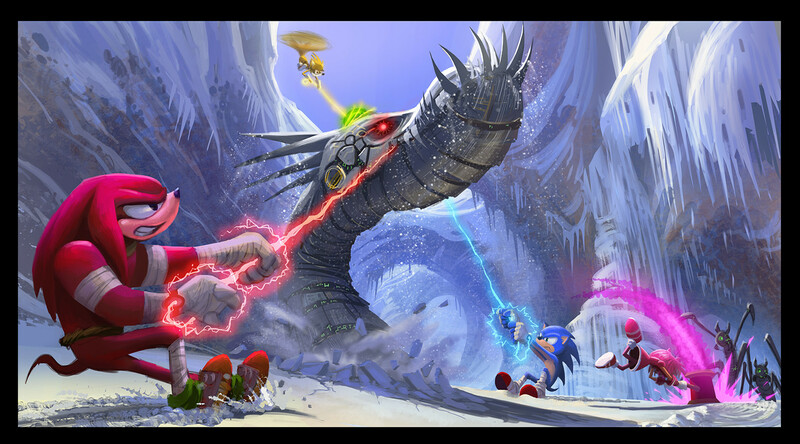 The ancient carvings of Sonic, Tails & Knuckles, that shouldn’t exist? This is the biggest head scratcher on the whole ancient land plot point. Sonic & Co. go back in time and encounter Lyric, and that’s it. They don’t encounter ‘the ancients,’ nor do they have any meaningful encounters with any NPC in the past, so why and how do they have carvings on the walls when nobody saw them or interacted with them in any meaningful way. Which brings me onto the Echidna statues. Why doesn’t anyone comment on them? In the whole game neither Sonic or any of his friends comment on them, I think there is one comment in the whole game which is a random piece of single line dialogue which isn’t in a cut scene which draws attention to it. But nothing more. ‘Wait you said ‘Knuckles’ statue?’ That’s right, and up until a few moments ago I was under the impression that the statues were from an ancient echidna race. 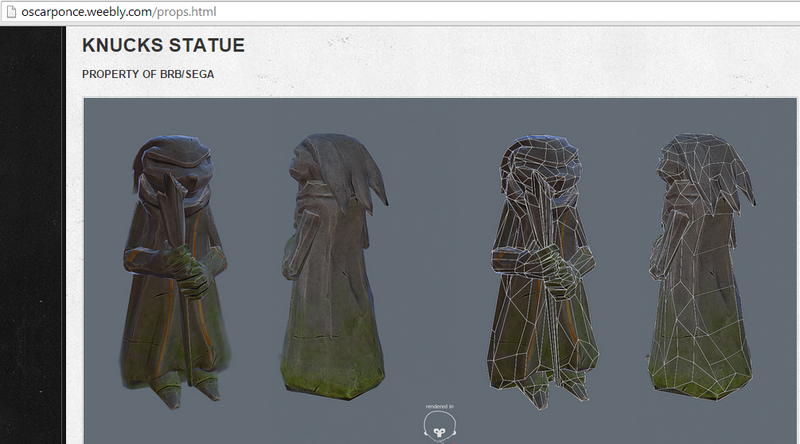 Only one of the artists who worked on the game has development images showing these statues and they’re named ‘Knucks Statue.’ This would suggest that it is supposed to be Knuckles? But let’s just go with the more likely theory that they’re the ancients. So where are they? They’re nowhere in the game, yet they had concept art made of them, they’re mentioned plenty of times, but we never see them. 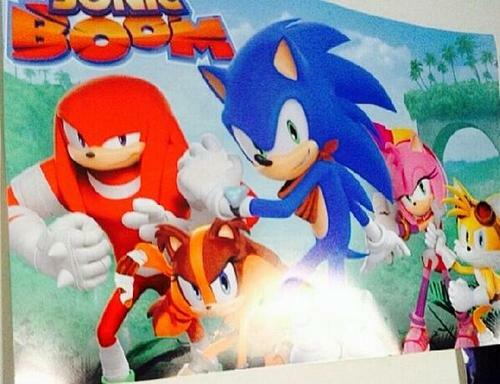 There you go, there’s your ancients, not once are they shown in Sonic Boom. Are the statues supposed to be these guys? If so, why don’t they look anything like them? Unless they really are supposed to be Knuckles? So why does the game not explain or show a reason for these things to exist? Yes they go back in time, but nobody encounters them, certainly not anyone significant enough to explain the architecture and the carvings. Remember how at the start of this I said “I’m shocked at how we found out about one particular aspect of Boom’s cut content.” This is that particular bit. Perci wasn’t just an NPC who you talk to, at one point she was playable, or if not playable she at least joined you on a mission. How do we know this? Because Amy tells you so in a stage in the final retail release of the game! I was shocked at this, there’s a mission where if you play as Amy she will actually say “Good job Perci!” Yet the only other character in the stage is Knuckles! Perci isn’t even in the area, she’s back in the Hub town, so how is Amy saying this? Unless it’s left over dialogue from when Perci was in this stage? Just think about this for a moment, here is a game in which a playable character is able to reference another who is not even in the stage or in any playable role other than an NPC. This is downright amateurish, this should have been spotted and removed months ago, how is it in the final release? Inexcusable. How is Sonic so Predictable When He Only Meets Lyric for a Brief Moment? The very first encounter with Lyric suggests that he and Sonic have a long history and that they’ve encountered and battled each other many times in the past. Which is why Lyric is able to dodge Sonic’s spin attack. So how is that possible when they only meet in the past for barely a minute? Yet other villains are still suspect to this? Please don’t say ‘well maybe Lyric is just that good’ no he’s not, he’s really not. The only explanation which makes sense, is that Sonic & Lyric encountered and fought each other a lot more in content which was cut… and yes we have something that supports this. 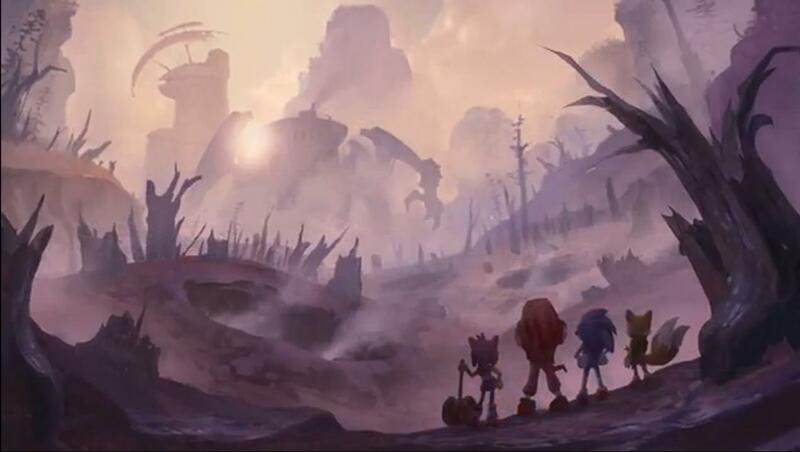 Here is concept art showing what appears to be a future scene, judging from the ruins and the devastation, as well as the giant machine in the distance, it seems that this is a ‘bad future’ (or even a ‘bad past’), in which Lyric has won. You might be thinking ‘that doesn’t out rightly prove there were more encounters with Lyric? No it doesn’t… but there is something in the game which does. When Sonic encounters QNC for the second time, he says “How do you keep popping out of nowhere?” Pardon Sonic? You have only met this guy once? That’s an odd choice of words unless you’ve met him on more than one occasion. Where are these encounters? QNC is someone who used to report to Lyric, yet this is never shown or expanded upon. Doesn’t make any sense unless it was cut content? Shortly after the game was announced, we were told in a number of interviews by Stephen Frost and other PR people that Sonic and his friends hadn’t really worked together before and that they would have to put their differences aside in order to succeed? Even the official press release which was put out last week still hints at this. So where exactly in the game do we get any indication of this? And that’s it, that’s the first and only time Sonic gives an indication that he doesn’t need, care or has to ‘work with together as a team’ something which has been constantly mentioned by Sega with regards to this game since day 1. So where is it? There’s even a hint that it would be there in the very first trailer for the game, we see the opening sequence with our heroes surrounded, but in the final game, Sonic is no longer with them. What happened here? My guess, it was cut content. Although, would you believe there are hints that there was to be a storyline about Sonic learning to work with his friends in the game? There are traces of it still there. For example, after they defeat Lyric Sonic acts… really odd in the way he doesn’t want credit and thanks his friends. There is also one line of dialogue from Knuckles when he says “We! He said We!” when the player successfully beats a stage. But none of these lines make sense since there is nothing in the game to suggest the characters have a problem working together. Even in the very first cut scene we see the team working fine actually doing some tactical moves when fighting Eggman. Even when Shadow turns up, the dialogue suggests that Sonic has worked with his friends lots of times before. So why was this line constantly thrown at us by the PR team? The only explanation, again, the story was heavily cut. 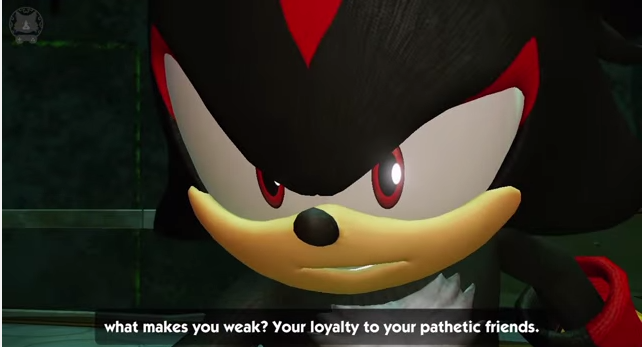 Why is Shadow in the game & Why is he so mean? Shadow is the most pointless inclusion into this game by far, and nothing about his inclusion makes any sense. I can buy Sonic fighting shadow, I can even buy Shadow turning up to take on Lyric. But cannot understand or buy how he behaves and acts in the game. For starters, he laughs at Sonic being with his friends and how they make him weak… yet… this contradicts the last 10 years of his existence. Sonic Heroes, Shadow the Hedgehog, heck even Sonic 06, Shadow has worked with ‘friends’ and used them in order to benefit and progress… but in Boom he’s suddenly against it? Sorry but that is beyond weak. Shadow does not act or behave anything like he has done since his initial outing in Sonic Advenure 2. Which brings me onto this gem. If you understand the characters, does this entire scene exist!? Shadows inclusion in Rise of Lyric suggests to me that they did not understand the characters at all. Before the Boom defenders rush to the comment box, or someone accuses me of being a ‘Shadow fanboy’, nope, not that much of a fan of Shadow, but I know enough about the character to know he’s not acted in that way since Sonic Adventure 2 and his own history contradicts everything he just said. Also before the Boom defenders rush to the comment box and say ‘this is an alternative branch!’ or something similar, we’ll be coming onto that in just a little while. 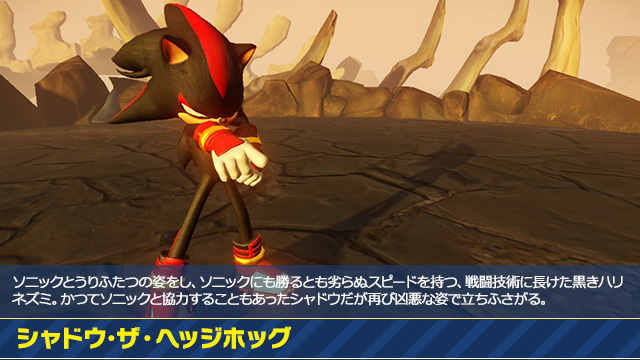 It seems to me that Shadow was brought into the game at a very late state in development, however by late state we’re talking ‘with less than a year to go,’ Stephen Frost did mention in multiple interviews that old characters would be returning, so odds are he was one of them. 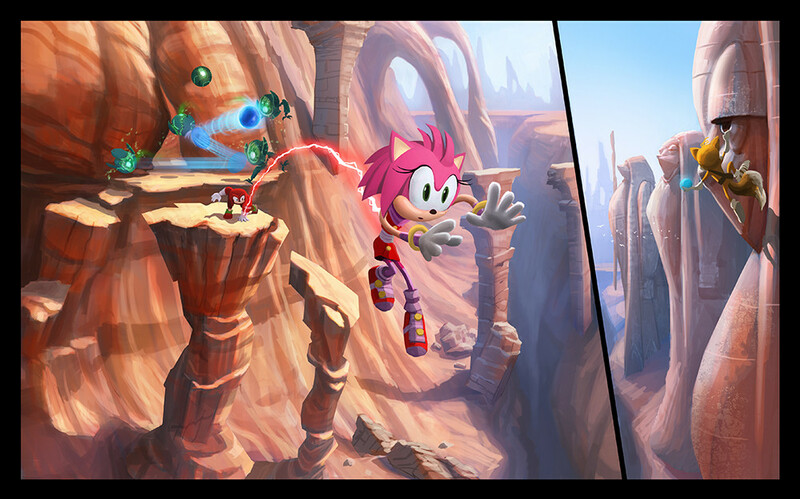 However consider this, we have concept art showing an alternative Lyric, showing cut stages, showing Sonic fully clothed, of early Tails, Amy & Knuckles. 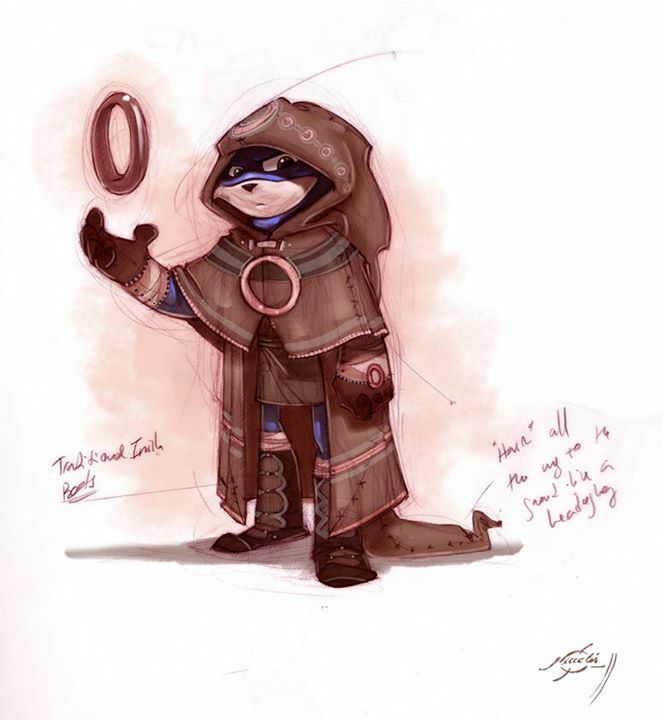 Yet there is not one single piece of early concept art for shadow, the only thing we have is a finalised image released when he was announced, that image up there is it. 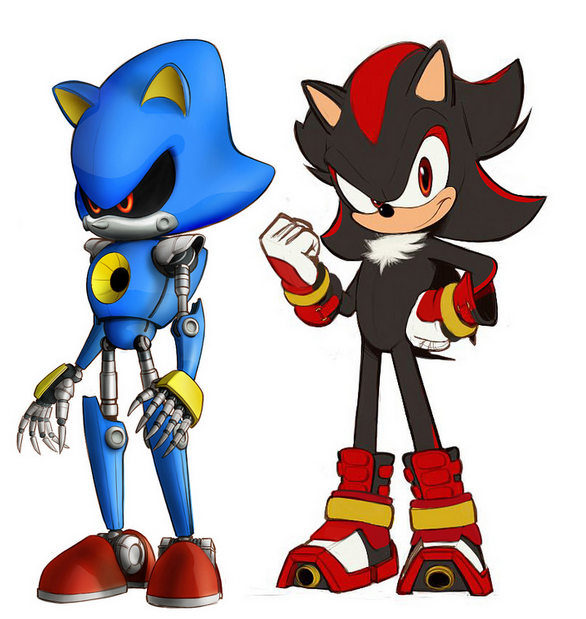 Might this also explain why Shadow looks no different to his SegaSonic counterpart? He was a last minuet inclusion in the game just to get fans excited? Was there a 4 player mode? 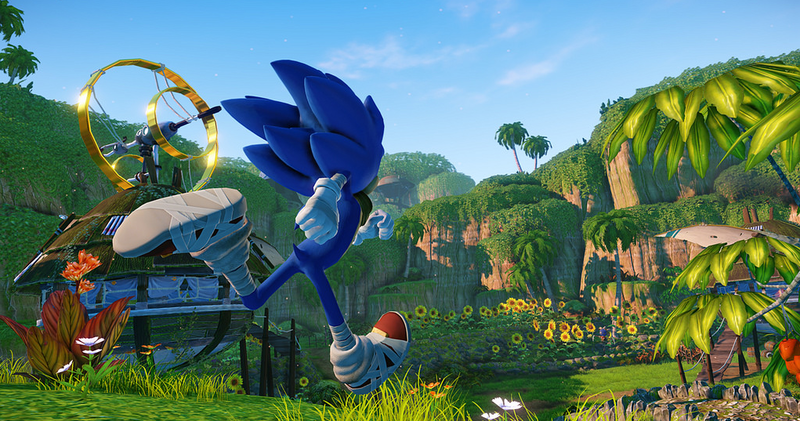 In the final release, Sonic Boom does have a 4 player mode in the form of side challenges, not tied to the main game. However, early artwork suggests that there was a 4 player mode in which all characters would be used by 4 players to beat tough enemies or complete puzzles. This doesn’t exist in the final game. However, this could have been a very early cancellation, the concept art isn’t absolute proof that it was to be included, early testing may have shown this wasn’t possible or too technically demanding on the system. now compare it to this image and the image at the start of this section. 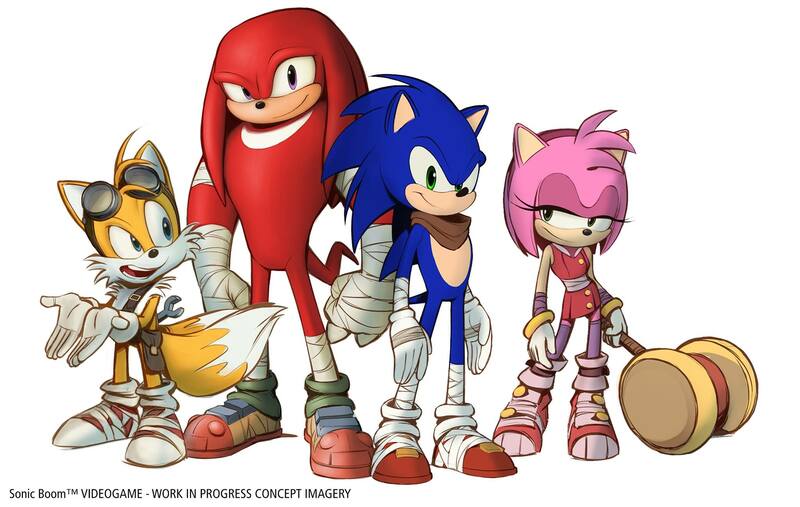 The designs are very close to their final look, there’s only slight differences such as Knuckles having a belt. Don’t look at the artstyle, look at he overall design, it’s pretty much the final design suggesting this concept artwork of a 4 player mode was not that early in development. Clearly a 4 player mode was brought up at one point otherwise why would there be concept art? Also does it not make sense for there to be 4 players in the campaign mode given the nature of the game? If this is a Separate Branch, Why does it not feel like it? Let me ask you a question, if it were not for the sports tape, or the clothes, or the character designs. Would you think that this is a separate branch? There is nothing different, the characters never act any different from their SegaSonic counterparts, the voice actors are the same, the character interactions are the same, they seem to share the same history, there’s references to the previous games, there is no sense of an alternative history, there is absolutely nothing. How is this a different branch? The only differences are cosmetic changes, there are two exceptions, Shadows amazingly poor excuse for being in the game and Knuckles is really stupid, that’s it. Otherwise, how is this a separate branch when it relies so much on SegaSonic and offers nothing to say ‘this is my identity, this is why I’m different.’ At no point does the game or series say ‘I’m not SegaSonic’. So what happened? Since day one, Stephen Frost and other members of Sega have been trying to hammer home ‘this is a separate branch’ or continuity. How is it when there’s nothing in the game other than alternative character designs to suggest such a thing? Feel like discussing anything I’ve brought up, let us know in the comments, I know that in places like the Sega Forums there has been discussion about cut content, so feel free to share this there if you like.